If your trick or treat circuit is in the Stanford Oaks area of Menlo Park, treat yourself to some rock and roll music played by local Dad’s band, The Members. They’ll be at the corner of Lemon and Oak Dell starting at 6:00 pm on Halloween. The local Dad’s band, The Members, will be hosting its 8th annual Halloween party this Friday night. They’ll start playing at 6:00 pm at the corner of Oak Dell and Lemon in Menlo Park and invite people to stop by during or after trick or treating. 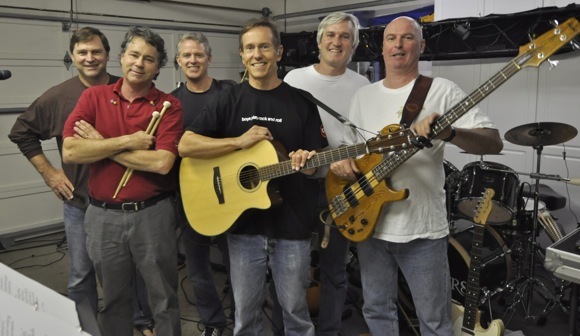 The Members, a garage band made up of Menlo Park dads, will be at Freewheel Brewing Company on Friday, Dec. 20, playing their mix of oldies and not so old tunes from 8:00 to 10:30 pm. There is no cover.